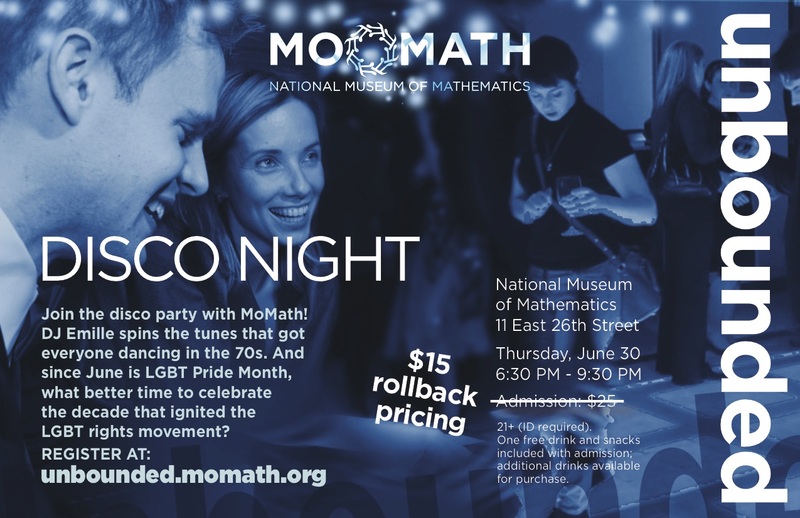 Join the disco party with MoMath! DJ Emille spins the tunes that got everyone dancing in the 70s. And since June is LGBT Pride Month, what better time to celebrate the decade that ignited the LGBT rights movement? Refreshments will be provided through the generous support of Oppenheimer Funds. Please help us and let your friends, colleagues and followers know about our page: Unbounded: Disco Night!